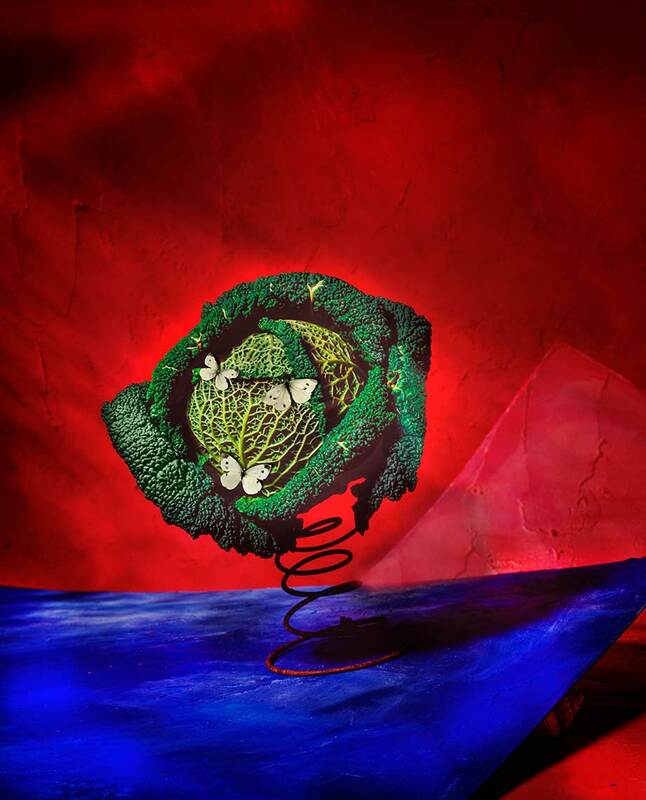 Spring Cabbage White is a photograph by Paul Biddle of a cabbage balaced on an old rusty bed spring. There are three Cabbage White butterflies on the cabbage. You might imagine the cabbage is shaking at the prospect of being eaten by the caterpillars. The background is painted with pure artist pigments which give the picture such intense sumptuous colour.